Born with cerebral palsy, Priya has spent most of her life in a wheelchair but has not let this stand in her way of achieving her goals in life. Priya began swimming at a young age for therapy and later realised her potential as a competitor. It was not until 1991, whilst competing at a school carnival, she was approached to represent Western Australia. Priya competed for the first time in the National Wheelchair Games winning a staggering nine gold medals. With the hours of long, hard training Priya went from success to success, winning 3 gold and 2 silver medals, and breaking two world records and three Paralympic records at the Barcelona Paralympics in 1992. This was her first international competition. Priya won the most medals of any Australian athlete at the Games, and as a result was given the honour of carrying the flag for Australia at the closing ceremony. On arriving back in Australia she was awarded an Order of Australia Medal for her services to sport, and became an Australia Day Ambassador. 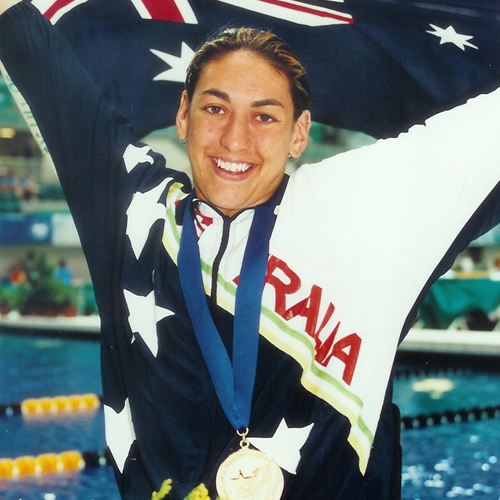 Priya then set her sights on the World Swimming Championships in Malta in 1994. Priya competed in five events, won 5 gold medals and set 4 world records as well as captaining the Australian team. At the 10th Paralympic Games in Atlanta, Priya led the charge for Australia winning 5 gold medals, 1 silver and 1 bronze medal, as well as setting three world records and five Paralympic records. Far exceeding her efforts in Barcelona four years earlier. She was also selected to captain the entire Australian Paralympic team, and once again won the highest number of medals of any Australian athlete. In 1988 Priya competed in the British National Swimming Championships and won 4 gold medals, a bronze medal, and set a world record. In 2015 Priya was inducted into the Sports Australia Hall of Fame at the same ceremony as Ricky Ponting and Casey Stone and in 2017 was appointed Deputy Chair of the Disability Services Commission WA. She also sits on various other boards and committees raising funding and awareness for people with disabilities to be involved in sport. Priya has a degree in Health Promotion and Journalism from Curtin University of W.A, and is very involved in public speaking. She has addressed major corporate and government conferences and events in Fiji, Bangladesh (Australian High Commission), Sydney, Canberra, Hobart, Gold Coast, Cairns, Adelaide, Brisbane and Perth. She is an excellent motivational speaker whose presentation titled ‘Success is A Choice’ reminds us that any dream, large or small, personal or corporate, can come true with the strength of sheer determination. Her presentation often elicits standing ovations from audiences.